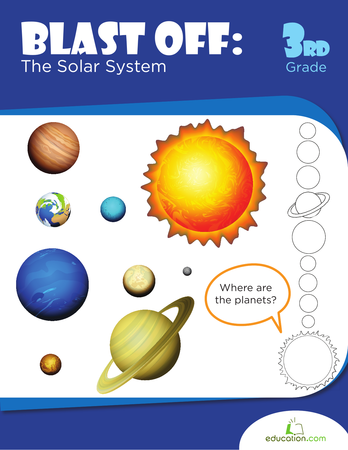 Teach your child about the layout of the Solar System with this simple worksheet, featuring the planet Neptune. Neptune is also called "The Ice Giant," and it's the eighth planet from the Sun. 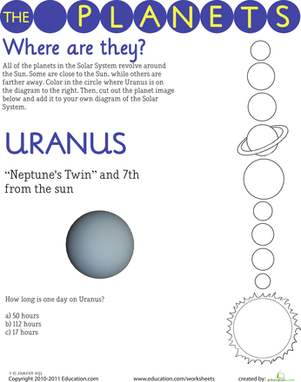 When your child is all done with this worksheet, he can cut out the picture of Neptune to add to his own Solar System diagram. 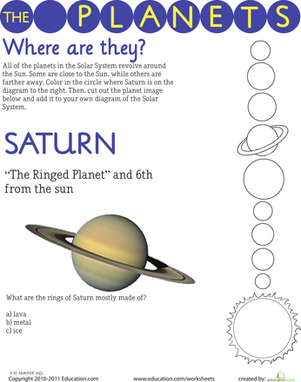 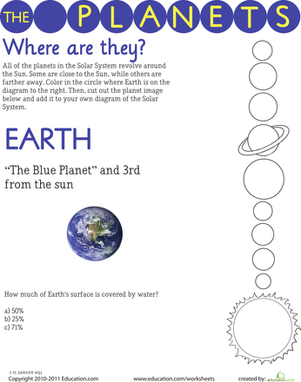 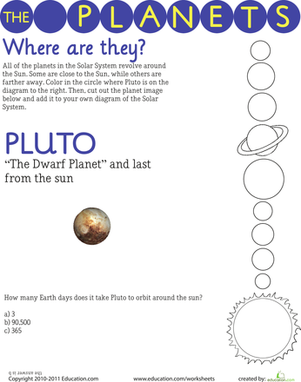 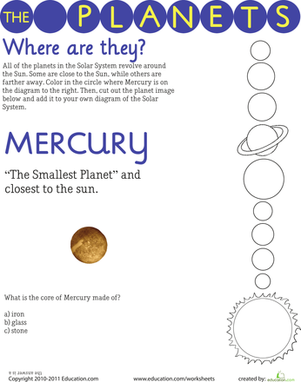 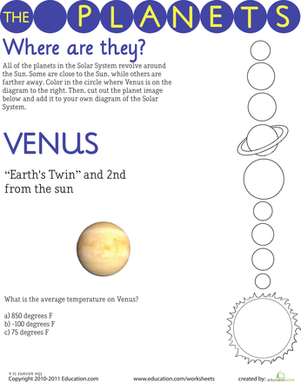 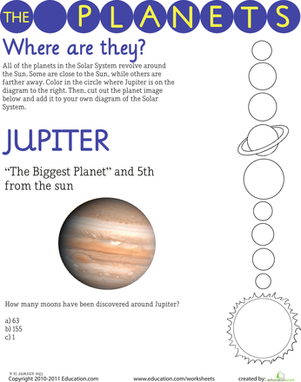 Don't forget to check out the rest of our Where are the Planets?Printables.